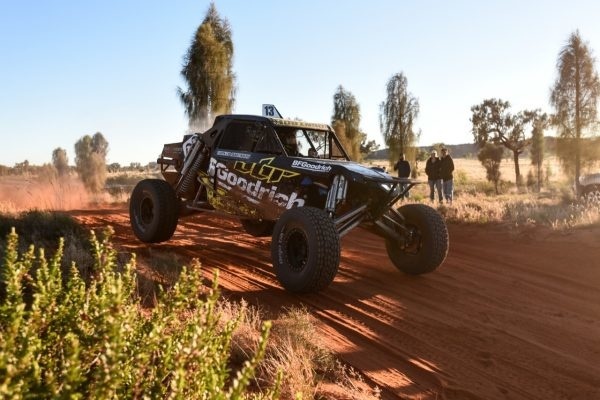 BFGoodrich Tires and their partners have combined to conquer their toughest challenge, the Finke Desert Race with the top three finishers were all running BFGoodrich Tires. 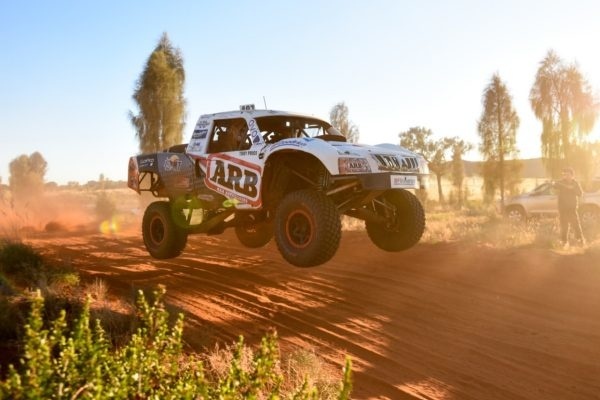 Once again the tyres proved they had what it takes to withstand the harsh conditions of the Australian outback, and the punishing pace of the trucks and buggies the toughest of off road races. The dominance of BFGoodrich Tires partners saw them not only claim the top three positions outright, but also the top three in the Pro Buggy class and top two in the Truck class. Taking out the "King of the Desert" crown for 2016 was Glenn Owen and Mathew Ryan in the #30 Jimco 2016 Nissan 3500cc. The pair were surprise winners - beating some big names along the way. 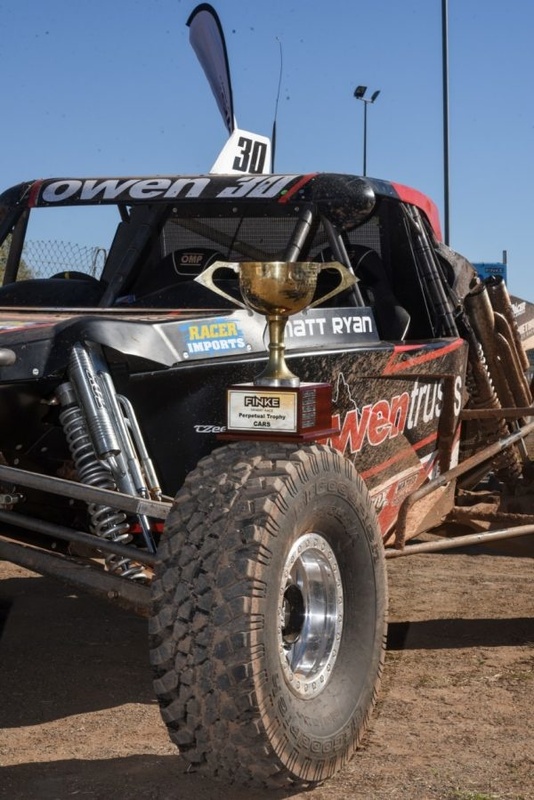 In a stand out debut race, four time Finke Desert Race bike winner and current Dakar Rally Champion, Toby Price finished in second place in his #487 Geiser Brothers Trophy Truck 6000cc. Price and co-driver Kyle Pfitzner, also too the victory in the Extreme 2WD Class (for Trucks). "I'm stocked to have BFGoodrich Tires on board - they've given me the best tyres to get the job done. They feel amazing, great grip, we were sure they would not let us down and they didn't," said Price after the weekend. "The BFGoodrich Tires worked amazingly well. The terrain out there is tough, and we did not have one issue with them over the whole weekend. To put up with that abuse the whole way down there and back is a massive credit to them. I'm really happy I could deliver them a good result." 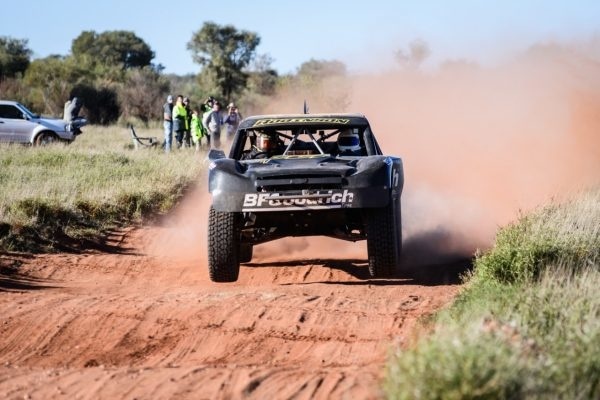 Coming home in 3rd place and filling the podium with BFGoodrich Tires partners was Beau Robinson and Stephen Ketteridge-Hall in the #413 Geiser Brothers Trophy Truck Chev 6000cc. BFGoodrich Tires use their experience at the highest level of off road racing to design and develop their non-competition tyres. The technology designed and tested in the KR2 that was raced by Toby Price in the Finke Desert Race, can be found in the KO2 tyre. It is the first consumer tyre to incorporate the company's race-proven and race-winning CoreGard technology that gives it unmatched toughness, particularly against sidewall splitting. The BFGoodrich All Terrain KO2 tyre delivers exceptional toughness, durability and traction for traversing harsh conditions, including gravel, dirt, rock, and mud.